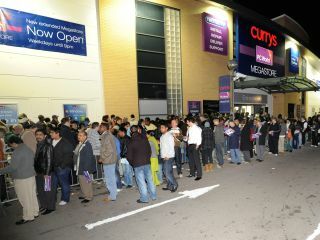 A joint Currys/PC World store in Fulham attracted nearly 700 people according to the DSGi group, while a Birmingham PC World – the biggest megastore for the brand – attracted 500 people. Andrew Milliken, Transformation Director, DSGi international, comments "'As well as giving shoppers great value and a fantastic shopping experience, these new stores have created over 100 jobs in the local areas. "The Megastores, which are among the biggest in the country, are all part of our renewal and transformation programme which has seen the opening of over 100 new or refurbished stores to date. "With another 60 planned within the next 8 months we look forward to welcoming even more shoppers around the country to the best technology destinations in the UK."